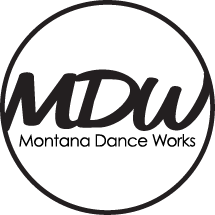 Montana Dance Works is dedicated to bringing quality and affordable dance instruction to Butte, MT. Montana Dance Works offers dance instruction to children, teens, and adults. Classes are offered for ages 2.5-Adults. The curriculum focuses on social and recreational dance, fitness dance, and exploratory classes in ballet, tap, jazz, acrobatics, tumbling and hip hop, etc. While several other dance studios exist in the community, few offer the combination of classes of Montana Dance Works in a fun and productive environment. Montana Dance Works also sells dance and fitness apparel for all ages.